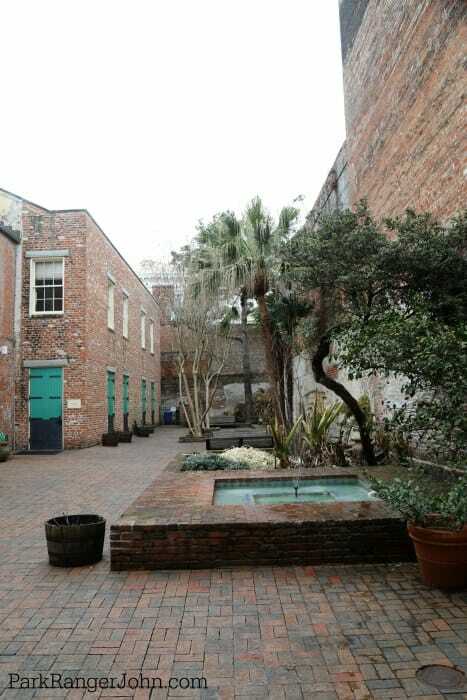 Jean Lafitte National Historical Park and Preserve lies within the French Quarter of New Orleans, Louisiana along with 5 other locations surrounding this incredible city. This park offers its visitors so many opportunities like visiting swamps and preserves at Barataria, immersing yourself in the culture of the Louisiana Missppi River Delta region in the French Quarter, Wetlands and Acadian Cultural Centers and learning about the Battle of New Orleans at the Chalmette Battlefield. This park is large and spread out so do not expect to see it all in a single day. My best advice is to plan ahead so that you can enjoy as much of this park as possible while seeing exactly what you want to see. Below is my things to do at Jean Lafitte National Historical Park and Preserve. Make sure to plan time to truly enjoy Southern Louisiana! The rich cultural-historic district, Mississippi River, and amazing food are so worth a visit. The French Quarter in New Orleans can be an incredible place to visit! The French Quarter means “Old Square” in French and is one of the most distinct architectural districts in the world. The Visitor Center is located on Decatur Street. Access to the Visitor Center is through a Carriageway that leads to a beautiful courtyard in the back and visitor center. Park Ranger John Pro Tip: After visiting the Parks Visitor Center, take a left onto Decatur St. and walk a few blocks to Jackson Square. 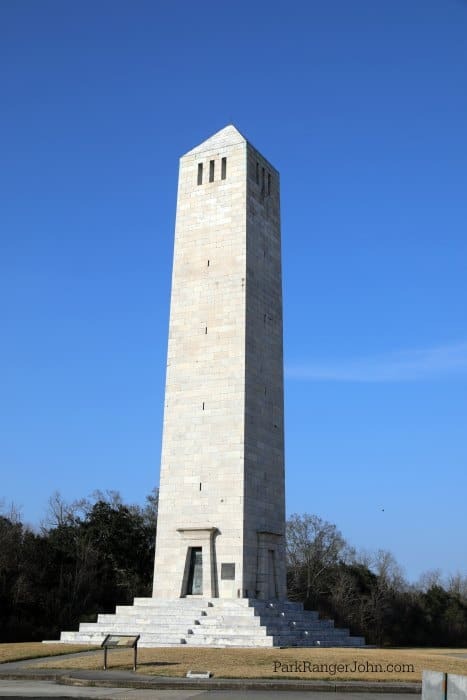 This is the location where the city erected a statue of Andrew Jackson in 1856, the hero of the Battle of New Orleans. It is not uncommon to hear jazz playing somewhere around this square and is very close to a wonderful little place my wife introduced me to, Cafe Du Monde where my coffee finally meets its perfect companion, the Beignet! As a bonus, all you do is continue walking on Decatur Street a couple more blocks and visit the New Orleans Jazz National Historical Park French Quarter Visitor Center after getting a cup of coffee and Beignet! The Battle of New Orleans was the greatest American land victory of the war of 1812. It is also the last battle of the last war fought between the United States and Britan and preserved the United States claim of the Louisiana Purchase. This battle lasted less than 2 hours and British casualties exceeded over 2000 while Americans only reported 13. The Chalmette Cemetary is right next to the battlefield but only 1 of the American Soldiers who fought in this war was buried here. It is a resting spot for several soldiers who fought in the Civil War, the Spanish American War, World Wars and Vietnam. 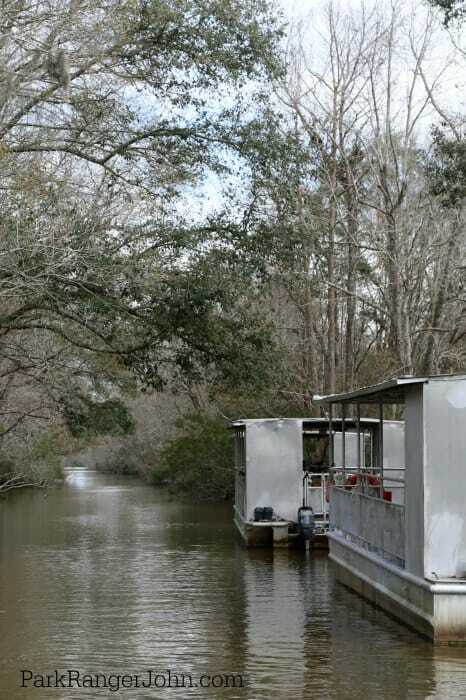 To get to this location you can either take the Creole Queen River Cruise’s Historical River Cruise or drive. The river cruises will give you limited time on location but you will have an opportunity to hear a ranger program and visit the park’s visitor center. Click here for more information and pricing. This is a pretty easy drive from downtown New Orleans and you will also drive through the 9th. Ward, an area that was devastated by Hurricane Katrina. Jean Latiffe Swamp Tours is a great way to see Jean Latiffe Barataria Preserve. 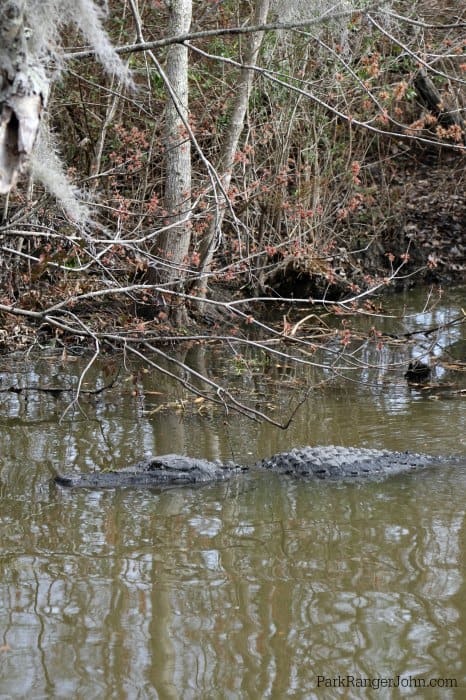 This leisurely 1.5-hour boat tour is a great way to see wildlife and to get a feel for what the swamp area is like. The boat captains are very informative and will do their best to make sure you have a great experience. Make sure to visit their website here for times and pricing. 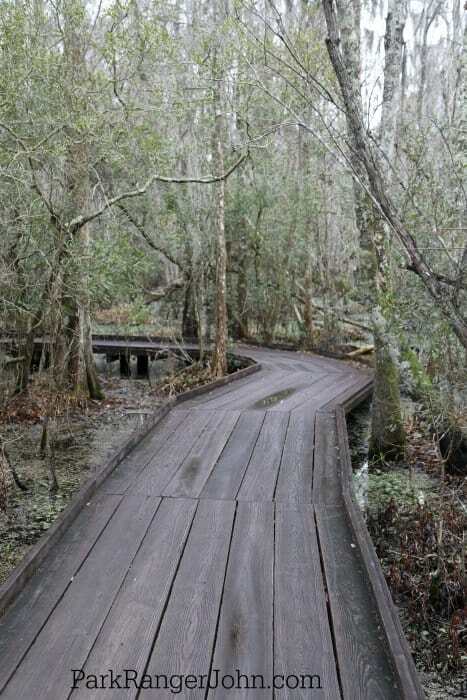 The Barataria Preserve is absolutely stunning! 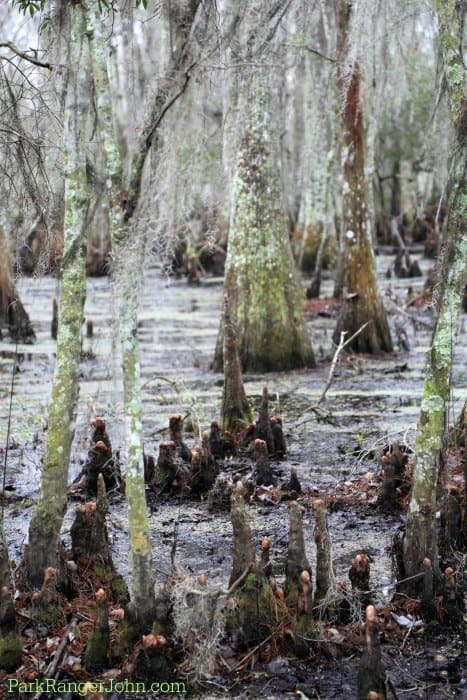 This area is home to the best of Louisiana’s wetlands including forests, swamps, marshes & Bayous. There are several trails to take and I highly recommend taking the short .25 mile boardwalk trail right behind the parks visitor center. Continue on to the Palmetto Trail for a longer hike and can continue from there to an overlook making for a nice hike. There are also several trails across the street from the visitor center at Pecan Grove. Pecan Grove has a few picnic sites, a restroom, and several trails. Check the visitor center before heading out as some of the trails may be to muddy in the Pecan Grove area. Also, keep a lookout for wildlife. We barely started hiking the Christmas Road Trail and saw Armadillos practically beside us! There are so many reasons to love this park! So far we have seen New Orleans, Chalmette Battlefield, the location of the last war of 1812 and the Barataria Preserve and all its wildlife, bayous, swamps & forests. Now there is three more locations that will give you a great understanding of the Acadian culture. There are three visitor centers, each telling the story of the Acadians. The Acadian Cultural Center has films, exhibits, ranger programs and boat tours of Bayou Vermilion. The Prairie Acadian Cultural Center has exhibits, Cajun music & dancing, and cooking demonstrations! The Wetlands Acadian Cultural Center interprets the Bayou Acadian culture through music, art, exhibits & boat tours of Bayou Lafourche. 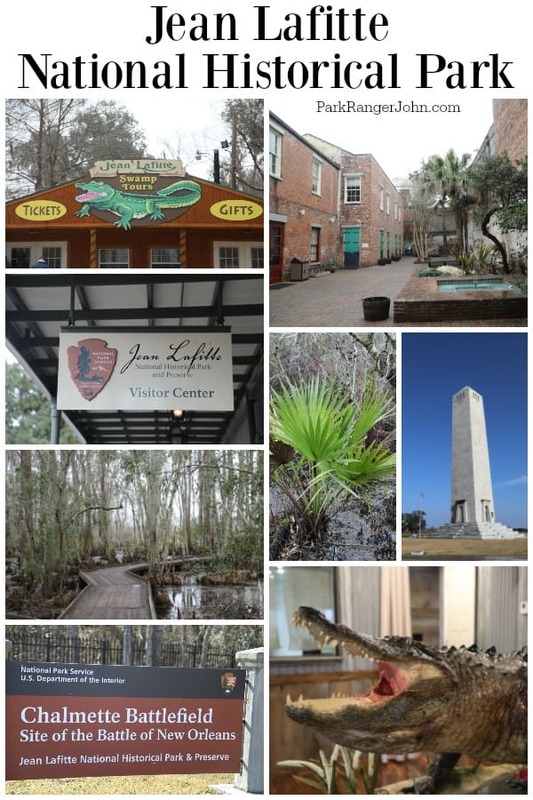 As you can tell, there is so much to see and do at Jean Lafitte National Historical Park and Preserve. Make sure to plan ahead so that you can visit the areas that interest you most or simply take a few days to really explore this incredible area. It is also worth time to experience the New Orleans Jazz National Historical Park and see if there is any live music and make sure to stop in for some great dining in the area too! 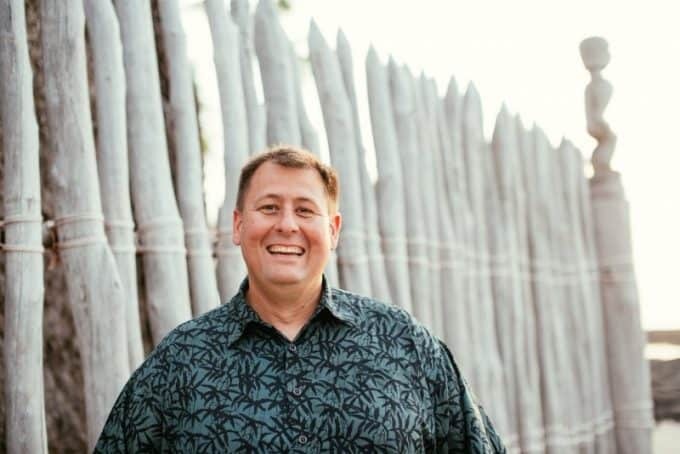 Hi, I’m Park Ranger John and I am so happy you are here! I have been a Park Ranger for almost 20 years and can’t wait to share with you National Park Travel Tips, Recipes, and so much more! Learn more about Park Ranger John.